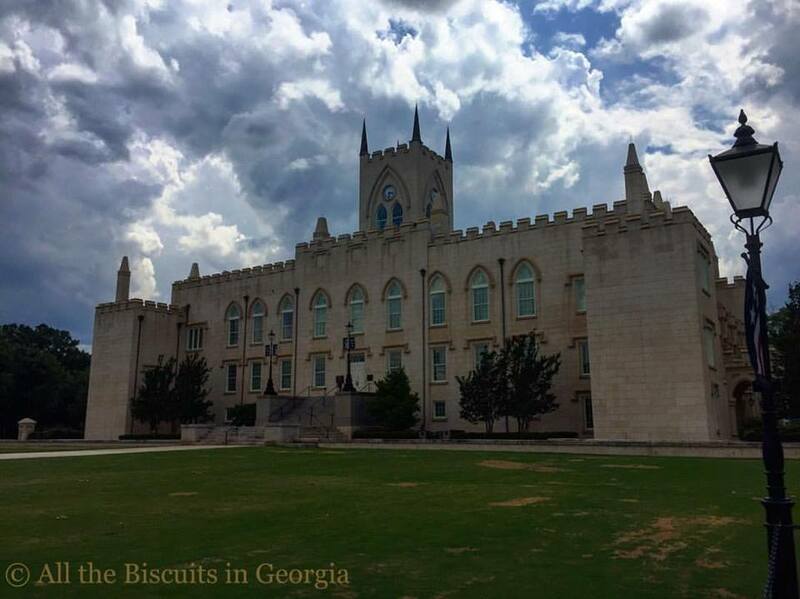 Article originally appeared on All the Biscuits in Georgia. It wouldn&apos;t be the annual Georgia Road Trip without a full report. This year that report starts near the geographic center of the state. Obviously, a major piece of any capital city is the seat of the legislature. Georgia&apos;s 1807 Capitol still stands. The building and surrounding structures on Statehouse Square now serve Georgia Military College. The Gothic statehouse also houses a great museum telling the story of Georgia and Milledgeville history. Georgia&apos;s Old Capital Museum covers history from prehistoric inhabitants, through the founding of Milledgeville, the Civil War, the role of the colleges, prisons and, of course, Central State Hospital. The museum has a friendly, knowledgeable, and helpful staff who made our visit an absolute pleasure. We were even given a by-appointment tour on a Tuesday, when the museum is normally closed. Tuesday appointments are available to everyone and are preferable for large groups. Drop them a call or an email for an appointment. Otherwise, the museum is open Wednesday through Friday 10 am -3:30pm and Saturday Noon until 3:30pm. As the antebellum capital of Georgia, Milledgeville and The old state capitol served as the location of the state&apos;s secession convention. the convention met January 16-19, 1861. Delegates including Robert Toombs, Alexander Stephens, the Cobb brothers, and Augustus Wright gathered in the house chamber to debate the issue. In what might be the greatest debate in state history, Stephens and Toombs found themselves in rare opposition. The two friends gave their arguments, Stephens against and Toombs in favor of secession. Stephens calm and calculated approach was unable to disarm the sheer force of the oration and personality of Toombs and secession won the day. Georgia left the union on January 19th. For this reason, I think the state would be better off with the seat of government still in Baldwin County. This isn&apos;t going to happen under any circumstances and I have no delusions otherwise. But, for these same reasons, Milledgeville is an outstanding place to visit. We have barely scratched the surface of this area at this point and we will make a return visit.